Home » All » Keep your Event ‘Cool’ and Current! Keep your Event ‘Cool’ and Current! 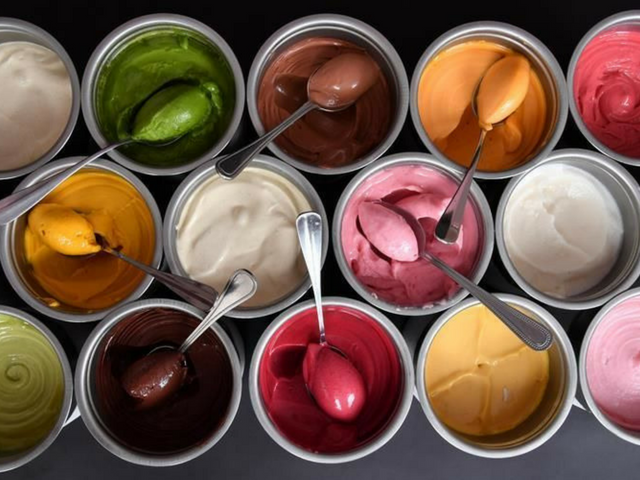 The Summer season always calls for tasty treats to keep you cool, so why not treat guests at your event to Artisan Ice Cream and Sorbet from Fluffy Puffin. Flavours can be tailored to specific tastes and everyone can watch the magic happen during a demonstration of how this ‘deliciousness’ is made! Fluffy Puffin love to use fine quality, locally sourced ingredients and British seasonal fruit wherever possible, so everything they do is totally lovable! We all know there is no Summer party without Pimms… Lady Summer Skye says ‘it’s the true taste of summer and is a refreshing beverage on those long hot days!’ We’d recommend adding a Pimms Tricycle to your event from Tricycle Temptations, as it’s a great way to keep your guests hydrated in a unique and fun way! 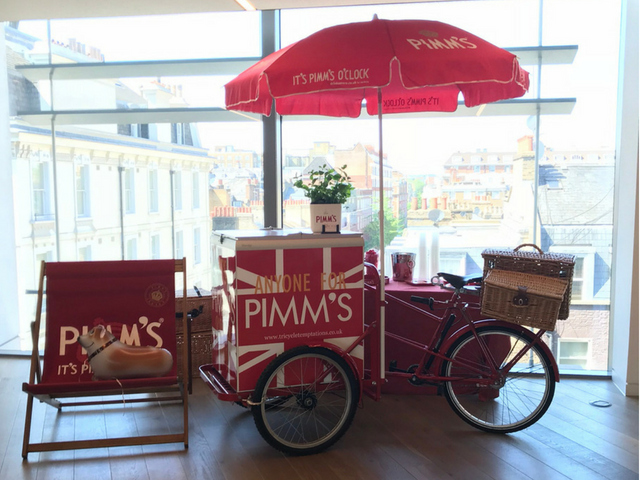 Guests could even hop aboard the Tricycle for a great photo opportunity whilst enjoying a long slow drink of Pimms! Gone are the days of handheld battery powered fans, as they can now be powered by your phone (incredible, right… and also, a life saver on the tube!). More importantly, they can be branded with your company logo, so are a great gift for your guests on arrival or departure, as a reminder of the fantastic event they’ve attended! If you’re thinking of hosting conference this summer season, it can be sink or swim, mainly determined by whether the venue has air conditioning and plenty of water…To add a little extra to your event, that can also double up as a way to keep your guests cool and hydrated, why not purchase branded water bottles. Guests can be given a filled water bottle on arrival, branded with your company logo, as a great way to stay cool at your Summer event, with or without air conditioning! Whether you’re looking for a breakout activity as part of a conference or team-building day for your company, a speedboat trip down the Thames is always a big hit! If your event happens to take place on once of the hottest days of the year (which at this rate is pretty likely! ), this is a great activity to incorporate to ensure your guests stay cool! We’d recommend City Cruises, as a great supplier of speedboat tours and much more! « The ‘Heatwave’ is Coming to Banking Hall!